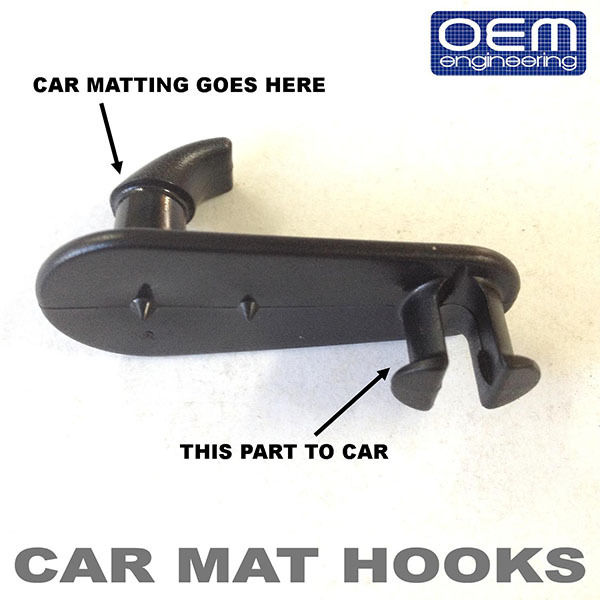 OEM Engineering's new Universal Car Floor Mat Hooks are designed to keep your matting from slipping and sliding all over the place. 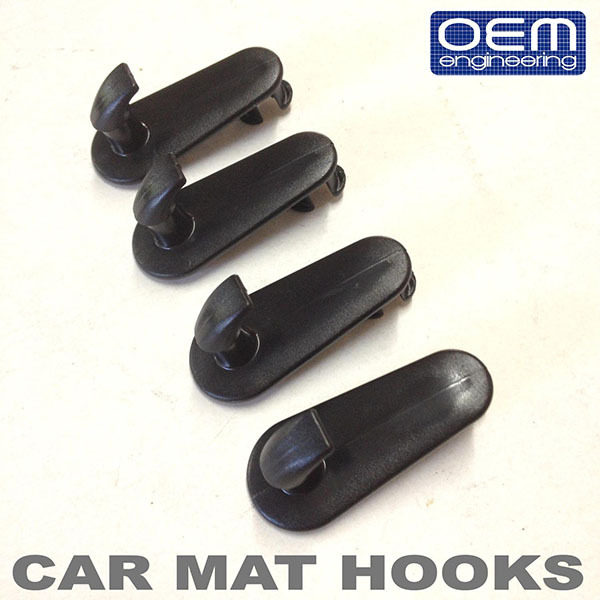 Works perfectly for cars and matting equipped with provisions for hook type car matting fasteners, like most Toyota, Lexus, Nissan, Infiniti, etc. vehicles. 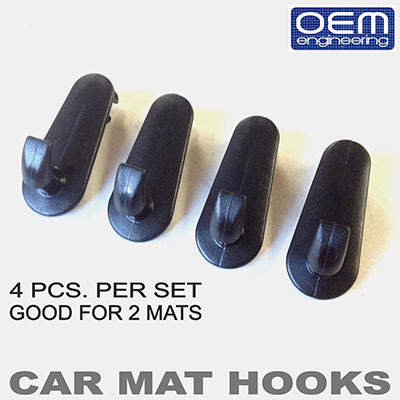 Selling as a pack of 4 pieces (2 pieces for driver's side and 2 pieces for passenger's side). 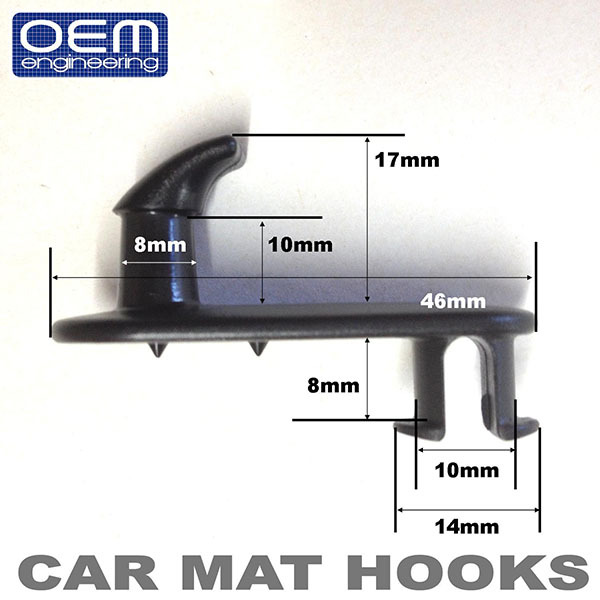 Made of high quality plastic that easily snaps into place for ease of installation. 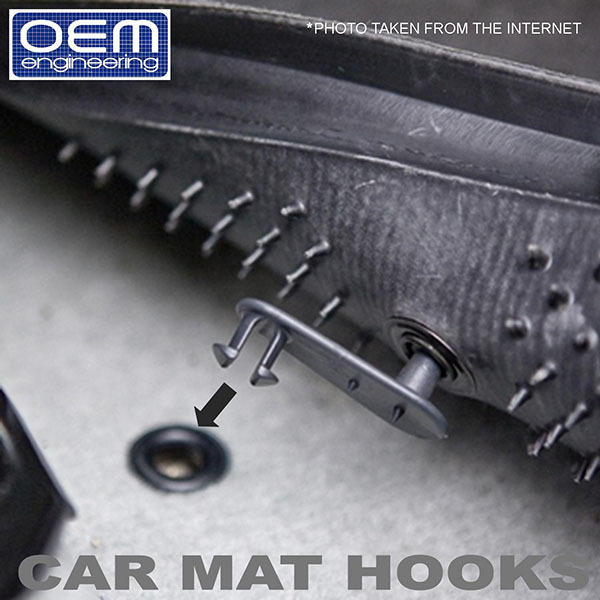 Also has teeth to grab onto your carpet to avoid rotating.